On Wednesday 28 November 2018 Computer Pals for Seniors Northern Beaches launched a small book entitled, Armistice: Before and After. The event was held in the Tramshed Arts and Community Centre at Narrabeen. The project was funded by an Armistice Centenary Grant from the Department of Veterans Affairs (DVA). This is yet another successful project undertaken by Computer Pals for Seniors Northern Beaches who are innovative in extending what they share with those who attend their classes. Their motto is ‘Bridging the Gap’ – and the practical application of what is learned applies to many facets of the online world. This one has a focus on making use of the great records digitisation has made accessible to all – and all without travelling to where their physical counterparts are! The project was also a community focused one engaging generations – more ‘Bridging the Gap’! To do a broadcast about WWI from Radio Northern Beaches each month for 8 months. To prepare training notes to help people to research any of their ancestors who fought in World War One. To conduct a training session to help people use that research information. To encourage participation from a local primary school. To compile a book which was to include stories researched by those attending the research session. Then have that book printed and launched. “This book contains information to help you discover your ancestors and stories written by members and friends of Computer Pals for Seniors Northern Beaches and a student from Mona Vale Public School Harry Palmer. Harry’s Great Grandfather was an ANZAC. Harry attended the Launch with his mother and his grandparents – 3 generations of the one family paying respects to their ANZAC." 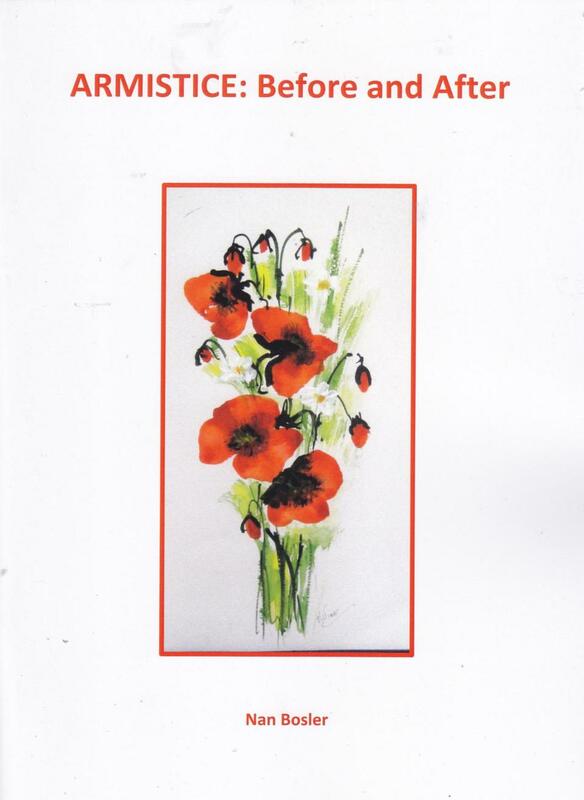 Armistice: Before and After contains stories obtained by the author from some actual ANZACS. “It is important that our younger generation and future generations learn the stories, and lessons learnt, from World War One, the war to end all wars.” Nan Bolser OAM, President of the Australian Seniors Computer Clubs Association, and a Computer Pals for Seniors Northern Beaches tutor, said this week. The launch was attended by Northern Beaches Council Mayor Michael Regan, Deputy Mayor Sue Heins and Councillor Kylie Ferguson. Mayor Regan said this week, “Millions have died and millions more had endured immense suffering throughout history from war. “I am so grateful as a community that we still remember the sacrifices of 100 years ago by local men and women – and that we use national days of remembrance to reflect solemnly on the suffering of all those who have been touched by strife and conflict. The book is embedded below. Pittwater Online will be leaving this page up over our Summer Break so all may access to some great Summer reading or find out how to commence their own investigations! A copy of Armistice: Before and After will be given to every school located in the Northern Beaches Local Government area and a copy will go to each of Council’s Libraries too.